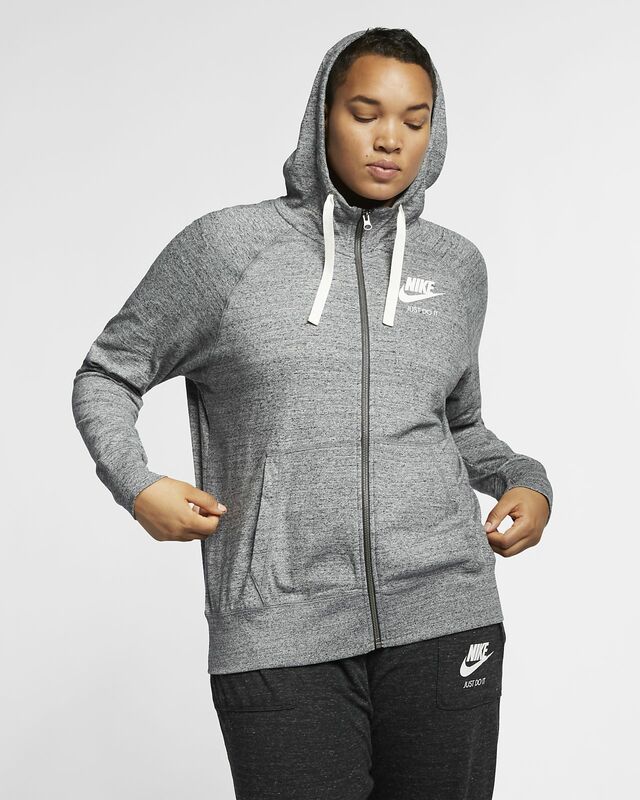 The Nike Sportswear Gym Vintage Women's Full-Zip Hoodie provides total comfort and coverage. It has super soft fabric with a heathered texture for retro-inspired style. The Nike Sportswear Gym Vintage Women&apos;s Full-Zip Hoodie provides total comfort and coverage. It has super soft fabric with a heathered texture for retro-inspired style. This is a thin zip up sweatshirt. It’s exactly want I wanted!! It’s perfect for working out or just doing things around the house or lounging. Love it. I am 2x/3x and purchased 3x to be sure of size. I feel I could wear size down for slimmer fit but arms might be too tight. It's difficult to find a nice fitting sweatshirt that isn't thick/hot. Although this one is a bit pricey to me, I'm ordering a 2nd one in a different color. I wear a 2x and ordered a 2x. The material is on the thinner side, which is a plus to me. The material is paper thin! I bought this as it looked it be a thicker material. Do not waste your money!